15,094 SF available. The previous was a large law firm who had 23 individual offices, 2 conference rooms and plenty of room for cubicals. As you exit the recently renovated elevators into the 5th floor lobby two availabilities await you. Both suites encompass floor to ceiling glass windows with astonishing views of both new and historic downtown Nashville. To your left, Suite 501 opens into a quaint 1400 square foot office with 4/5 office capabilities and a kitchenette. 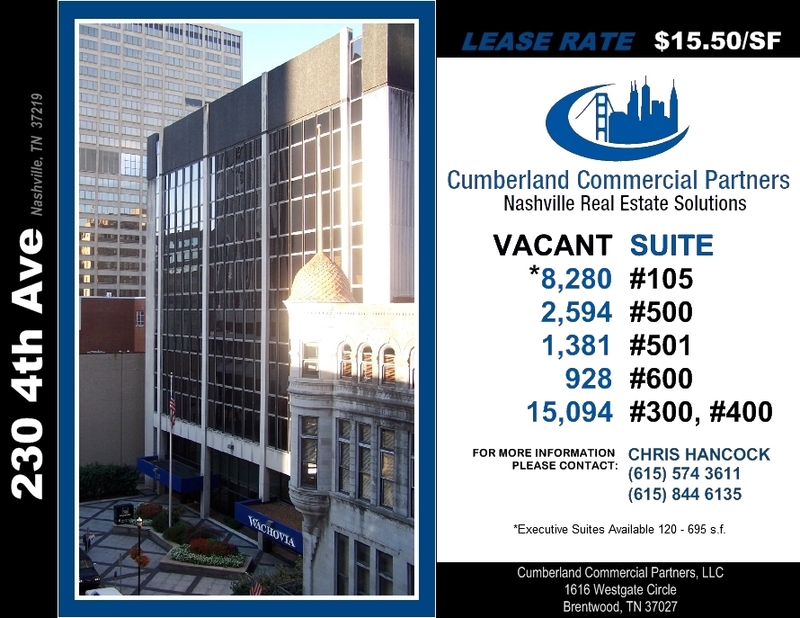 Each individual office overlooks the home of your Tennessee Titans as well as traces of historic Nashville down 3rd Avenue North. Back in the main lobby, the right side opens into an enhanced 2400 square foot suite encompassing 5/6 offices with conference room availabilities and server closet. The suite also includes a kitchenette just off of the warm reception area. Facing 4th Avenue, the floor to ceiling glass windows overlook Nashville’s historic Arcade and a stunning afternoon sunset.